I recently wrote a blog post for Visit Hendricks County about the Top 10 best-kept secrets in Hendricks County. At the suggestion of our Facebook community, Old Bob&apos;s in Avon was listed as one of those hidden gems. I discovered as I wrote that post that it&apos;s impossible to describe Old Bob&apos;s in just a couple of sentences, so I decided to visit for a more in-depth story about this long-time retail establishment along U.S. 36 that has truly withstood the test of time. Old Bob&apos;s is such a unique, eclectic store that you really have to experience it for yourself. 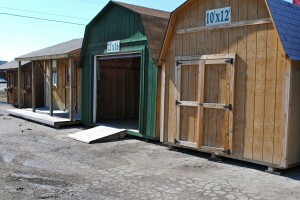 They specialize in storage cabins and cottages. And wallpapers and borders. And picture framing. Oh, and poly-wood furniture made from recycled milk jugs. And, naturally, Penofin wood finish. 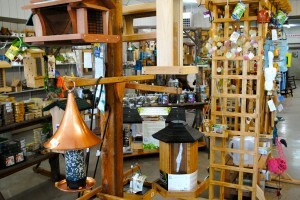 Don&apos;t forget wild bird seed and supplies, Carolina Carports and basketball goals, too. Plus, they recently added some antiques. What?! How does all of that stuff fit together?! And who is Bob? 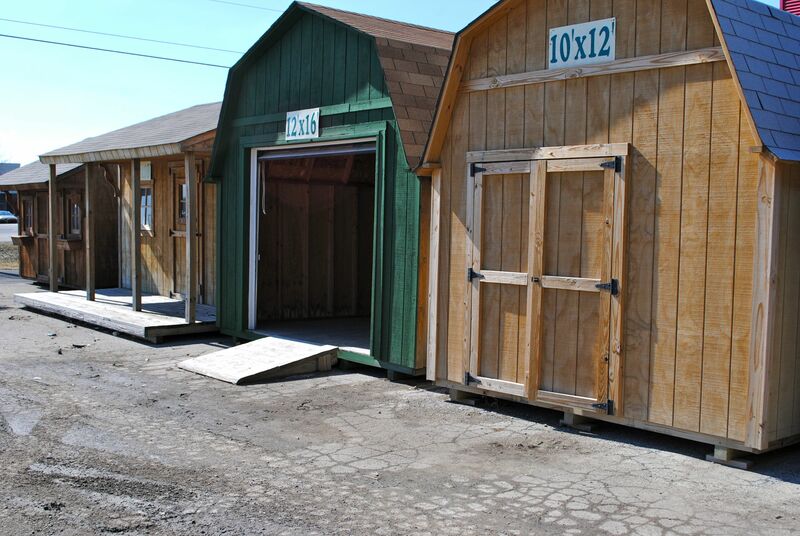 Well, the Williams family who owns Old Bob&apos;s started out doing home construction way back in the day, but in the mid-1970s, they decided to focus on storage sheds and cabins, which they manufacture and build on their own. It&apos;s not that big of a stretch to offer carports in addition to sheds and cabins, and where do you normally shoot hoops? Out by the garage or carport, so basketball goals fit right in, too. In order to enjoy your new stylish storage building or cottage, or to watch the kids play basketball outside, you need somewhere to sit, right? Why not add durable poly-wood furniture that turns recycled plastic into attractive, comfortable chairs that don&apos;t scald your skin if they&apos;ve been out in the sun? And as long as you&apos;re sitting outside in your comfortable new chair admiring the view of your new cottage, don&apos;t just let the birds starve to death. They have to eat, too! Lucky for you, Old Bob&apos;s has a wide variety of bird seed, houses, hangers and other aviary paraphernalia for you to turn your yard into a bustling hub of wildlife. In fact, if you go to Old Bob&apos;s Facebook page, you&apos;ll discover that if you visit Old Bob&apos;s on or before March 29, they&apos;ll give you a code to enter to try to win a Squirrel Buster bird feeder! I&apos;m told that these feeders are truly squirrel-proof. Speaking of birds and bird stuff, the store wasn&apos;t named after any Bob in the family. 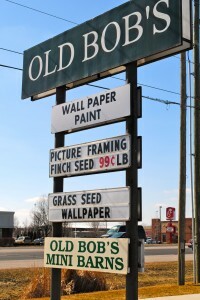 When Old Bob&apos;s opened in 1975, it was named after their original Old Bob White bird feed, which was the first bird seed to be offered in the area that was 100 percent edible with no fillers. 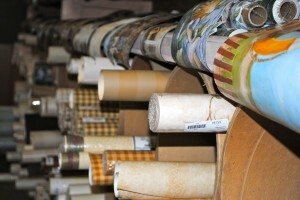 The family connections to home construction led them to carry wallpaper and borders for home decor, and after also carrying house paint for awhile, they decided to stick with Penofin wood finish and stains. Picture framing is a natural progression, given the focus on wallpaper and borders, since people like to hang pictures on their wallpapered and bordered walls. And now that your walls are looking sharp, how about a few neat antiques around the place to give it some character? Fortunately, there are some members of the Williams family who enjoy antiquing, and they&apos;ve added that niche to Old Bob&apos;s. So you see, it all makes perfect sense. Old Bob&apos;s is a really neat store located near the intersection of U.S. 36 and Raceway Road, across from Meijer. 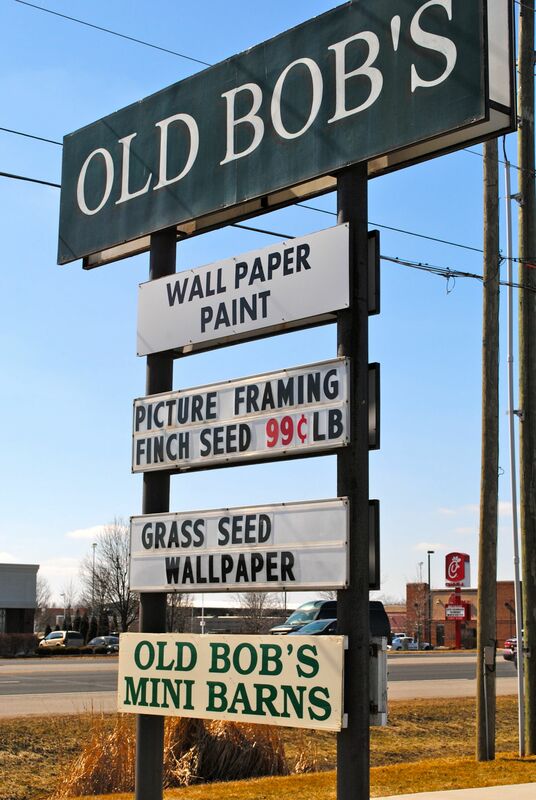 If you need to give your home or yard a facelift after this brutal winter, make it a point to stop in and see what Old Bob can do for you.